Shop Rusk Thickr Hairspray for Fine or Thin Hair (10.6 oz. )10.6 oz. 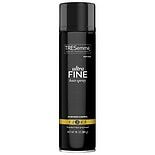 Shop TRESemme TRES Two Aerosol Hairspray Ultra Fine Mist (11 oz. )11 oz. 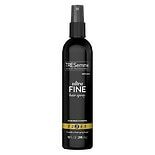 Shop TRESemme TRES Two Ultra Fine Mist Hair Spray Ultra Fine Mist (14.6 oz. )14.6 oz. 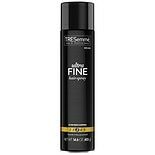 Shop TRESemme TRES Two Non Aerosol Hair Spray Ultra Fine Mist (10 oz. )10 oz. 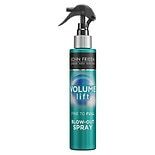 Shop John Frieda Luxurious Volume Fine to Full Blow Out Spray (4 oz. )4 oz.